Bandys High grabbed a half-game lead in the South Fork 2A baseball race heading into the final week of the regular season, winning 15-5 on Thursday night at Lincolnton. The Trojans (11-4, 9-3) are just in front of North Lincoln and West Lincoln, both 8-3 in league play, and Maiden dropped out of a four-way tie for first place when Lake Norman Charter won 10-8 at Maiden on Thursday night. Before going to Maiden, Lake Norman Charter (9-9, 6-7) completed a suspended game against East Lincoln, beating the Mustangs 13-3. The game on April 4 was halted with the Knights up 8-3. Conference games on Friday are Newton-Conover at West Lincoln at 7 p.m. and East Lincoln at North Lincoln at 7 p.m.
Elec Yount led Bandys past Lincolnton (1-13, 1-11), going 3-for-4 with two doubles and driving in three runs. Ivan Huffman hit a three-run home run and Jay Estes had two hits and two RBIs and Peyton Laney also drove in two runs. Winning pitcher Cy Spencer worked five innings, giving up six hits, three runs (all earned) with no walks and three strikeouts. Bandys had a three-run third inning to lead 3-1 and added four runs in the fourth inning and four more in the fifth inning to lead 11-1. The Trojans extended the lead to 12-1 in the sixth inning before the Wolves got two runs to close within 12-3. Bandys scored three runs in the seventh inning. Bandys finished with 14 hits and made three errors, and Lincolnton had six hits. 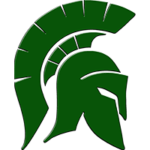 The Trojans play at East Lincoln on Tuesday at 7 p.m. and close the league schedule on Thursday at home (7 p.m.) against West Lincoln. Lincolnton, which has lost 10 straight games, faces West Lincoln the road on Tuesday 7 p.m. The Wolves final league game is April 22 at home against Lake Norman Charter at 7 p.m. The South Fork 2A tournament begins at the higher seeds on April 30. The Knights (9-9, 6-7), down four runs early and behind 8-5 through five innings, rallied to win at Maiden (8-6, 8-4) and knock the Blue Devils out of a four-way share of the conference lead. Drew Gugino went 3-for-5, Jared Ryan drove in three runs, Peter Alperi had two hits and two RBIs and Jack Monti added two RBIs for Lake Norman Charter. Alec Edens was the winning pitcher for the Knights. Bain Sipe took the loss for the Blue Devils. Dylan Abernethy went 3-for-4 for Maiden with a walk, a double and two RBIs while Avery Scott was 3-for-5 and drove in two runs and Ross Fowler doubled twice. Maiden led 4-0 after two innings but the Knights scored four runs in the third inning for a 4-all tie. Lake Norman Charter scored in the fourth, leading 5-4, and Maiden had a four-run fifth inning to go ahead 8-5. The Knights made it 8-6 with a run in the sixth and won with a four-run seventh inning. Lake Norman Charter has only one league game left, at Lincolnton on April 22. Maiden is at home against North Lincoln on Tuesday at 7 p.m. and battles East Lincoln, also at Maiden, on Thursday at 7 p.m. to finish the conference schedule. The Knights completed a suspended game from April 4 by scoring five runs in the fifth inning at East Lincoln before heading to Maiden for a league game under the lights. Anthony Tascione led Lake Norman Charter, going 2-for-4 with three RBIs and Jared Ryan had two hits and drove in three runs. Jack Monti added three RBIs and Eli Agosta and Chris Towes added two hits for the Knights. Logan Ansted, who pitched 3 2/3 innings for Lake Norman Charter, gained a win. He threw four innings, giving up three hits, three runs (all earned) with four walks and three strikeouts. East Lincoln dipped to 6-8, 5-6 and is in sixth place. Chris Moxley threw a complete game, giving up five hits, two runs (both earned) and walking one and striking out six, to lead the Rebels to a road win. Brandon Lail had two hits and an RBI and Nathan Beam added two as West Lincoln collected eight hits and helped create a-then four-way tie for first place (Bandys, Maiden, West Lincoln, North Lincoln). Avery Scott went four innings for Maiden, taking a loss. He gave up seven hits, four runs (all earned) with four walks and one strikeout. Lake Norman Charter won a South Fork 2A match for the seventh time this season – this one nine holes at Deer Brook – and increased its league lead to 118 shots. The Knights had a 149, finishing 11 strokes in front of North Lincoln, after they had golfers at 1-2-3. Sophomore Carter Busse and freshman Ben Bailey of Lake Norman Charter shared medalist at 36 and senior Ian Johnson was third at 37. The final South Fork 2A match of the season is scheduled April 29, a nine-hole match at the Catawba Country Club. Team scores: 1. Lake Norman Charter 149; 2. N. Lincoln 160; 3. E. Lincoln 163; 4. W. Lincoln 164; 5. Newton-Conover 173; 6. Bandys 181; 7. Maiden 186; 8. Lincolnton 269. Top 10 indivduals: 1. Carter Busse (LNC), Ben Bailey (LNC) 36; 3. Ian Johnson (LNC) 37; 4. Stowe Rankin (NL), Bauer Galloway (WL) 38; 6. Lawson Harkey (WL), Chase Lackey (NL); 8. Will Dalton (LNC), Lance Rowe (EL), Paul Karre (N-C), John Stolzenbach (EL), Luke Campbell (B) 40. The Trojans scored 10 runs in the first three innings – six of them in the third inning – and rolled to a conference victory on the road. Senior Ashyton Hopson went 4-for-4 and drove in six runs and Shi Pope added two hits for Bandys (8-9, 5-7) which shares fifth place with West Lincoln. Lincolnton (2-13, 0-11) is in last place. The Trojans have a conference game on Tuesday at 6:30 p.m. at East Lincoln. The Wolves play a league game on Tuesday at 6 p.m. at West Lincoln. The Blue Devils (11-3, 9-3) cruised at home as winning pitcher Addyson Ikard allowed four hits and one run while walking one and striking out six. Maggie Sigmon drove in three runs for Maiden and Jaiden Kiser had a hit, two walks, scored twice and drove in two runs. 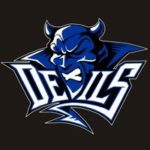 The Blue Devils share second place with East Lincoln and Lake Norman Charter dropped to 2-14 overall, and 1-12 in the league. Maiden is at league-leading North Lincoln on Tuesday at 6 p.m. while the Knights’ final league game is Tuesday at home against Newton-Conover. West Lincoln 10, Cherryville 7, 10 inn. Katie Willis went 5-for-6, driving in three runs, and Alyson Eaker threw a complete game as the Rebels (7-8) won a non-conference road game. West Lincoln had 16 hits – with Morgan Chapman, Eaker and Etta Godfrey each getting two and driving in a run – and the Rebels were helped by Cherryville’s six errors. Katie Camp walked three times for the Ironmen (12-4), Maggie Barnes had two hits and drove in two runs and Aleigha Whisnant added two RBIs. Eaker threw 102 of her 175 pitches for strikes and faced 51 batters. She gave up eight hits, seven runs (five earned), walked eight, struck out three and hit three batters. Whisnant, in relief, took the loss for Cherryville after going two innings. She allowed three hits, three runs (one earned), walked two and had no strikeouts. 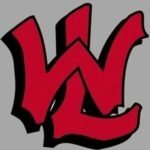 West Lincoln has a home conference game against Lincolnton on Tuesday at 6 p.m. The Knights (14-1-0, 11-0-0) stayed atop the conference standings with a victory at Maiden, scoring four goals in the opening half and three in the second half. Maiden (7-5-1, 6-4-0), tied with Newton-Conover for third place, got 17 saves from Marley Mingus. Lake Norman Charter has 12 straight wins and is three matches up on second-place East Lincoln with three to go. The Mustangs are the only remaining team that could share a title with the Knights. Lake Norman Charter is at home Tuesday against Newton-Conover in a league match, and Maiden goes to North Lincoln on Tuesday night at 6 p.m. for a conference battle. The Knights gained their seventh win of the year, winning on the road as Peyton Turner scored four goals and had five assists. Lake Norman Charter is 7-5. Information for the roundup includes reports by: Robbie Abernethy, Maiden baseball staff; Hugh McCall, Maiden head softball coach; John Markley, West Lincoln head baseball coach; Eric Johnson, Lake Norman Charter head golf coach; Timothy Randolph, Lake Norman Charter boys’ lacrosse.